This two-day course is specifically designed for experienced/trained/certified Field Training Officers. The program will: (1) Provide updates to the revised Daily Observation Report and the newly revised Standard Evaluation Guidelines and (2) Provide transitional instruction on Breaking Routine™ protocols that emphasize training and coaching non-compromised job performance required for solo assignment certification. 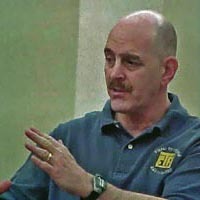 Updated instruction will emphasize the Field Training Officer’s responsibilities to: (A) Examine and objectively document probationer job behaviors and actions utilizing totally revised standardized assessment guidelines, and (B) Analyze the probationer’s training and performance needs and utilize the most appropriate instructional techniques for corrective action. Course material will be delivered through instructor led discussion as well as hands-on application of updated materials in small group and individual student exercises. Special attention: Students should be familiar with their Department’s Field Training and Evaluation Process and bring a copy of the agency’s current Probationary Officer/Deputy Manual and assessment forms to the class. Students must be ready to roll up their sleeves to work on applying the revised protocols! Performance assessment components utilizing a non-numerical evaluation scale. Utilization of the revised Standardized Evaluation Guidelines. Legally and objectively documenting probationer performance. Utilizing a variety of on-the-job instructional/coaching techniques. Engaging the Probationer with Coaching Conversation protocols. Documenting training/coaching when Corrective Action is Necessary. Objectively determining when the Probationer is Not Responding to Training. Executing the revised Self-Initiated Field Activity protocols with the DTP – Daily Patrol Plan protocols.